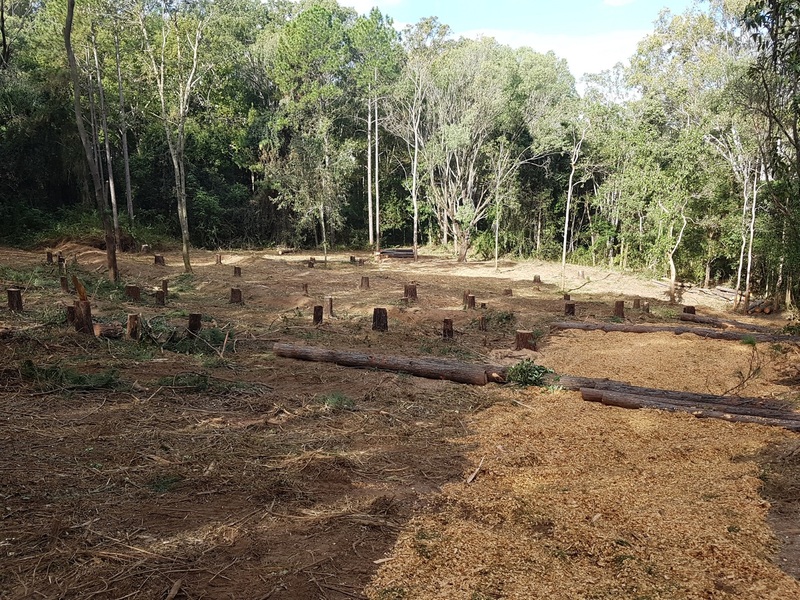 In June 2018 Aust Care Environmental Services where engaged to eradicate hundreds of mature exotic pine trees from a large area of listed high value regrowth bush land in Brisbanes north. Most of the pines being in excess of 20m tall. 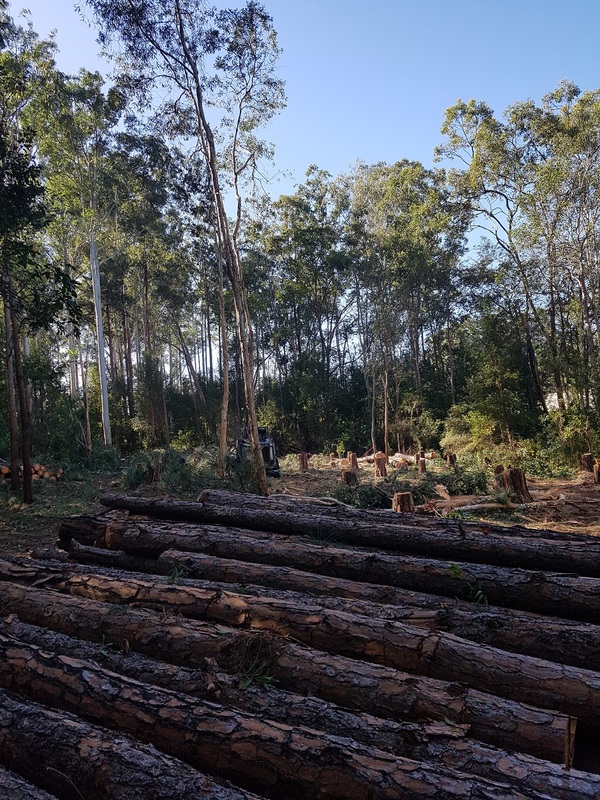 The pines where needed to be removed to improve the ecological functioning of the ecosystem and help our clients comply with their environmental and offset obligations. 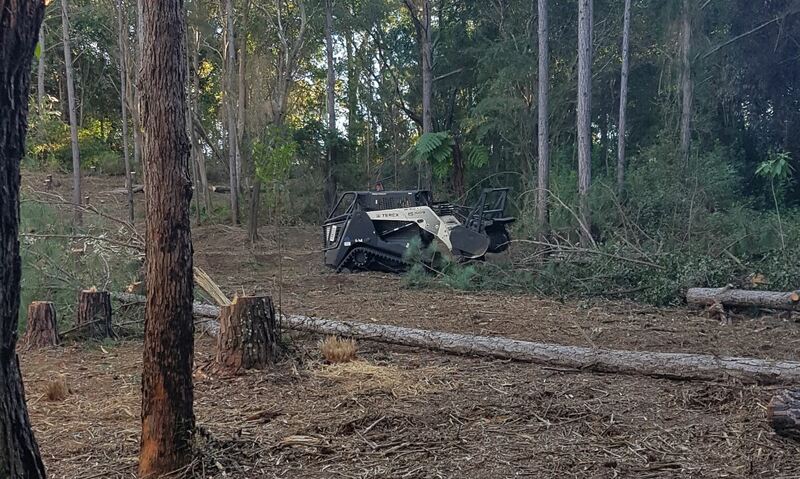 The area worked in was very ecologically sensitive and home to many collared Koalas. 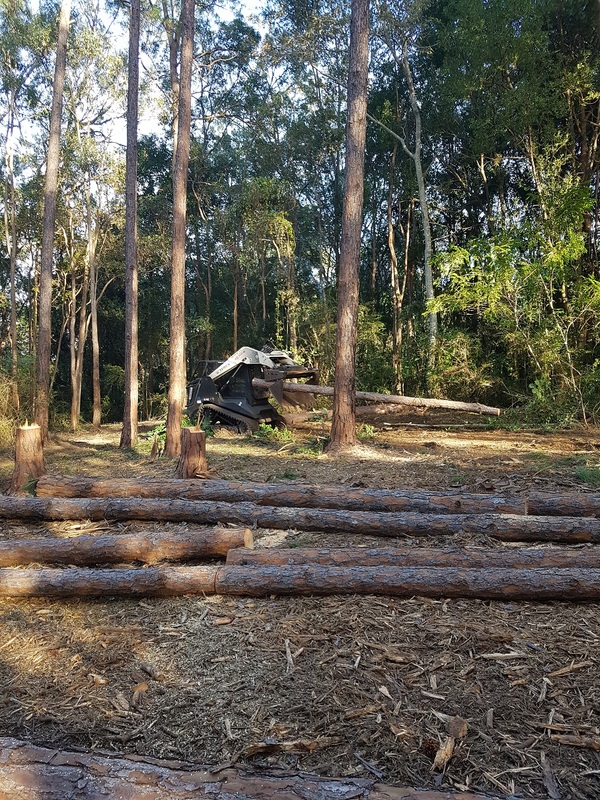 This meant working with licensed Koala spotters each and every day to determine their locations, monitoring their movement throughout works and modifying work movements in a such a manner as to not cause disturbance, stress or harm to them. 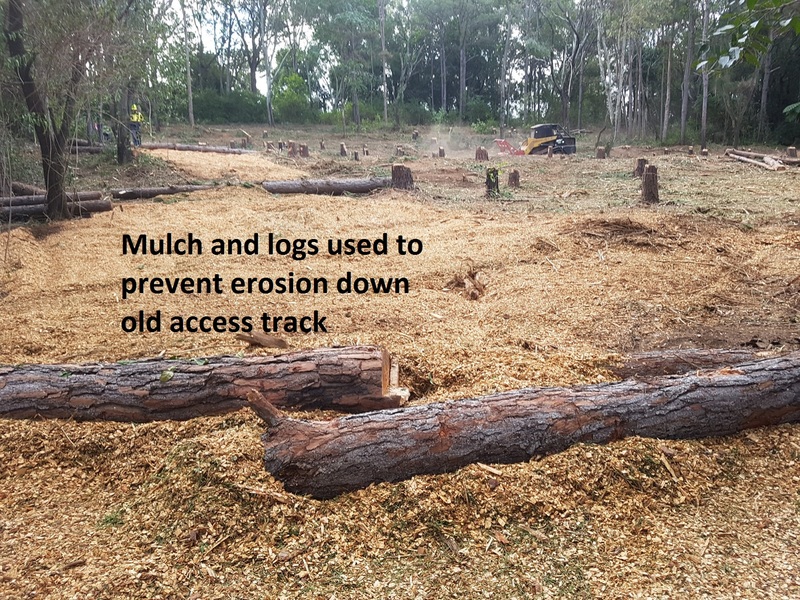 The site was on a very steep slope and along a busy haul road so tree removal had to also consider safety risks and any potential erosion source points that may have been created due to their removal. 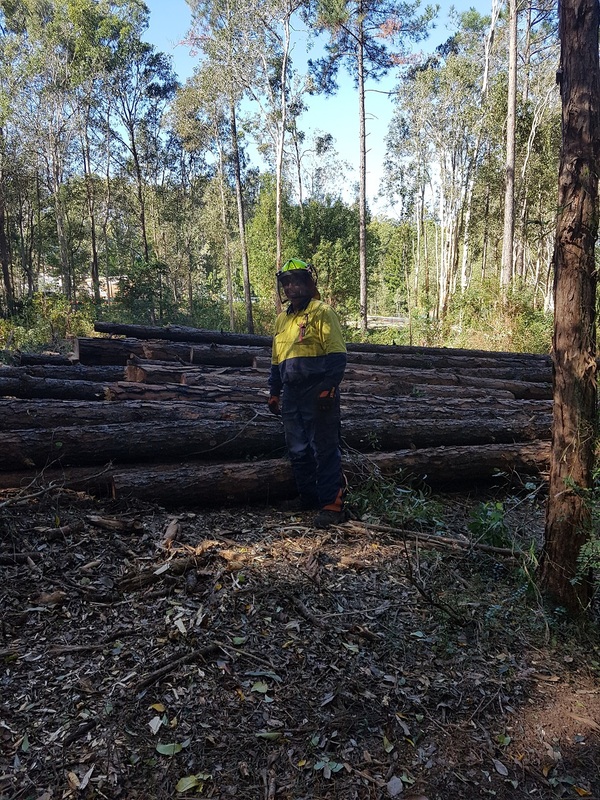 Aust Care Environmental Services where able to safely remove hundreds of pine trees, avoid any disturbance to native fauna species, comply with the myriad of stakeholder requests and prevent the creation of future erosion source points. Once again the team delivered this project with no incidents, complete flexibility and with a minimum of fuss.